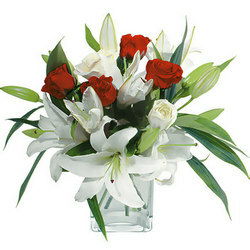 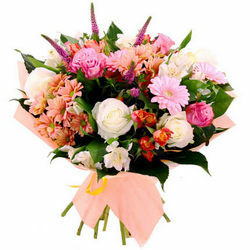 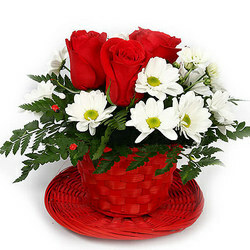 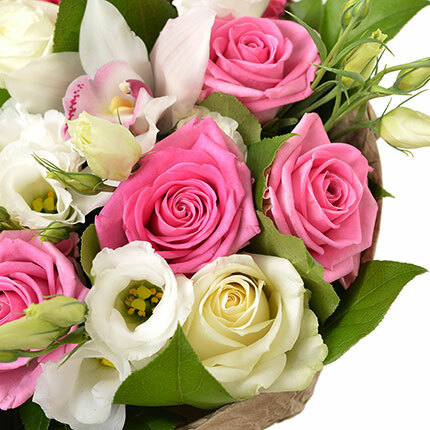 Gentle spring bouquet will give the lightest wishes and cheer up your recipient! 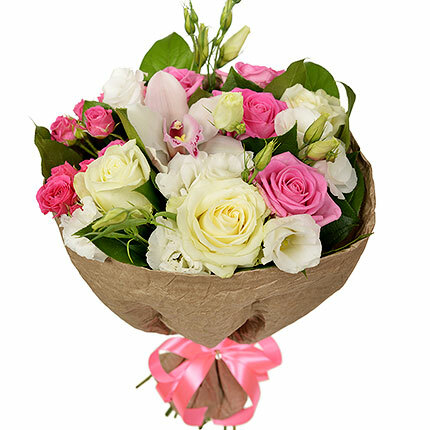 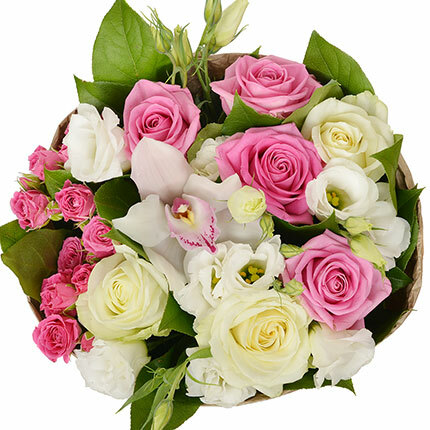 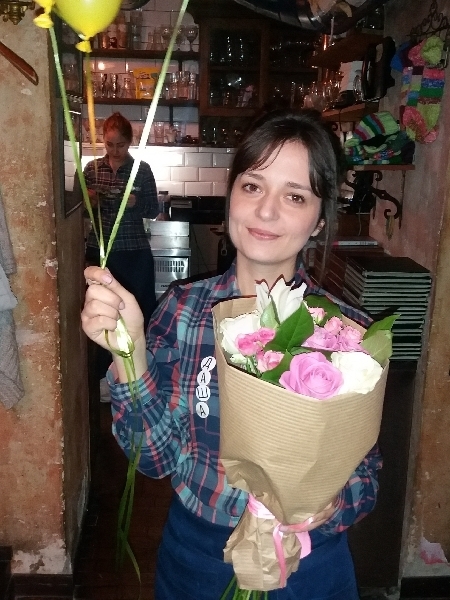 Composition: 7 white and pink roses, a flower of an orchid, a branch of a gentle eustoma, a branch of a spray rose, greenery, decoration. 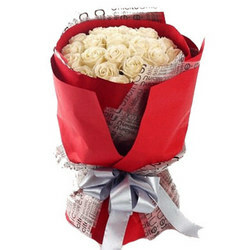 Bouquet "For the sweetest Mom!" 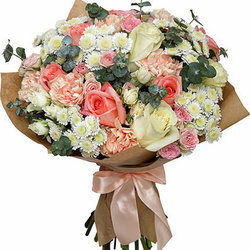 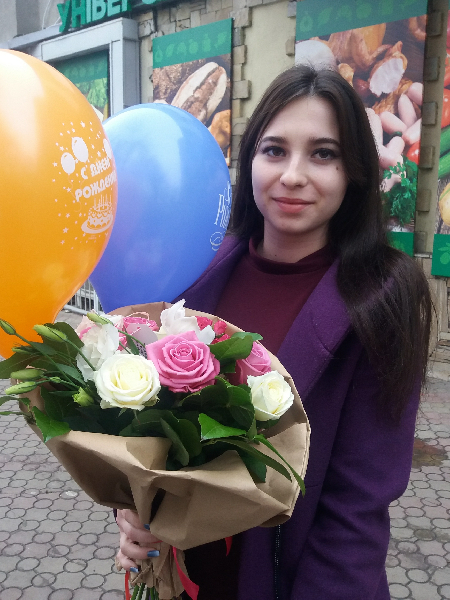 20032019 © Flowers.ua Bouquet "My tender lady!"